Amazon Prime Instant Video is Amazon’s very own video-on-demand internet streaming service that debuted on September 7, 2006. 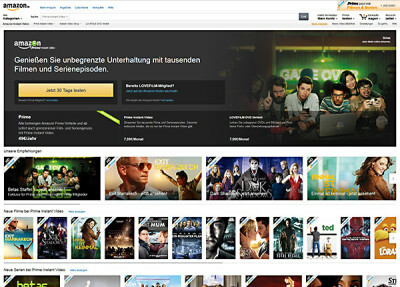 Amazon Instant Video is available to consumers in the United States, United Kingdom, Austria, Germany and Japan. Those attempting to watch Amazon Prime Instant videos outside of the said regional operations wouldn’t be able to do so, even if they have a legit Amazon Prime membership. Why is Amazon Prime Instant Video not available everywhere? Amazon Prime Instant Video is not globally available because the content suppliers have some sort of restrictions placed on the streaming company. Producers usually have copyright issues and so their contents can only be accessed by certain Prime users. The different region-based Amazon Prime Instant Video platforms are also bound to certain content restrictions. Certain content that are readily available to US users might not be available to UK users – and vice versa. So, if you are attempting to watch UK Amazon Prime Instant videos in the US, you wouldn’t be able to do so since the site can detect that you have a US IP address which apparently is restricted by Amazon Instant UK. If you try playing a UK Amazon Instant video while you are in the US, even if you have an Amazon account, you’d only be greeted with a message saying that you are not located in the UK. Amazon Prime Instant Video may have a wide range of content offerings, but the different licencing restrictions are making things frustrating for Amazon account holders across the world. There are a lot of amazing digital videos available on Amazon Instant Video. It’s a shame that only certain users are able to enjoy the wide range of video offerings. Gladly, you can still access Amazon Instant videos even if you’re outside the country where Amazon is operating in – considering that you also have a valid Amazon Prime account. If you don’t have a membership, you need to get one first before you can enjoy the videos on Amazon Instant. Amazon Prime is currently being offered for a 30-day free trial. After that, you then start paying for a certain annual membership fee. After getting an Amazon Prime membership, only then can you start watching unlimited movies and TV shows with the Prime Instant Video platform. If you’re interested in watching UK Amazon content that are not available in the US version, you can simply fake your US IP address and cloak it with a UK IP address. So, how ‘simple’ can you do that? You have two options here. You can use a VPN service to unblock the internet altogether, or use a Smart DNS service to bypass almost all streaming media. Signing up for a VPN service account will basically solve all your problems with blocked content. You can even use a VPN to register for an Amazon Prime account from the different region-based Amazon servers. No matter where you are, you can still access the UK Amazon Prime Instant Video and watch your favourite UK-based TV shows and movies. There is no direct way of accessing the UK Prime videos from outside the country though. The only way you can access the UK Amazon Prime video library is by having a UK IP Address. How can you even have a UK IP if you’re currently not in the UK, right? There is actually a way to fake your IP Address. Simply use a VPN service to mask your actual IP with a preferred IP Address. We would like to stress out that you should subscribe to a truly reliable VPN service that can provide quality VPN connections without having any drawbacks like speed slowdowns or server limitations. Ideally, you need a VPN service that provides server selections in countries you intend to have an IP address in. Subscribe to a reliable VPN service that offers full VPN features. Smart DNS proxy is the alternative solution to VPN. Smart DNS services have certain advantages over the VPN option too. Smart DNS services are cheaper, specifically designed to unblock geographically restricted streaming websites, and they provide better speeds too. If you’re going to be streaming HD videos, you’re better off using a Smart DNS service. Unlike VPNs, Smart DNS proxies don’t encrypt internet traffics. Technically, encryption can produce certain deterioration in connection speed. What’s great about Smart DNS proxies is that they can unblock multiple geo-graphic restrictions all at the same time. If you were in the US and you are using a Smart DNS proxy, you will be able to unblock content in the UK, in Germany, Canada and many more! All these unblocking are done simultaneously. You also retain your local IP address which would still allow you to access content or services that are specifically restricted to your location. Here’s how Smart DNS proxies can help you watch UK Amazon Prime Instant Video content outside of the UK. On your computer’s Network or Internet settings, configure the Internet Protocol Version 4 (TCP/IPv4) settings from your LAN connection. Set the correct Primary and Secondary DNS server IP addresses. Your Smart DNS provider should provide these credentials. You’re done! You can finally stream the UK Amazon Prime Instant Video contents abroad. Smart DNS proxies vary with what devices they support, but usually they will work on PCs. Some Smart DNS services will provide support for mobile and routers too. VPN and Smart DNS services are ideal and useful to those that are fond of travelling but wouldn’t want to miss their favourite shows back at home. Expats would greatly benefit from such tools too. With a VPN or Smart DNS, you should be able to bypass UK Amazon’s geo-graphic restrictions. If you need the best connection speed, then go with a Smart DNS service. On the other hand if you need anonymity, then the VPN choice is for you. In the end, it all boils down to your preference. But both a VPN and Smart DNS should do the trick in unblocking geo-limitations.